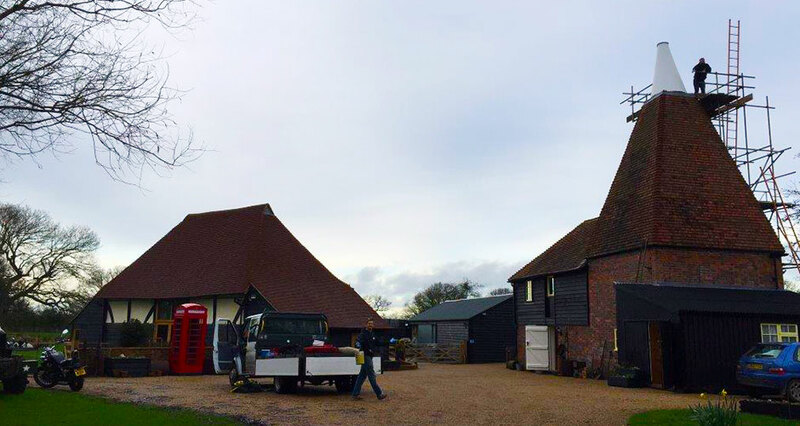 I approached Darren just before Christmas and set him a challenge; we needed a Oast cowl redesigned to meet our specific needs and all to a very tight deadline. Darren then had to design and build a cowl and fit it into position before our first guests arrived in January and to add to the pressure I would be away from site the whole time. Darren and his team kept us in contact the whole time with updates and when we arrived home the job had been completed to a very high standard and looks Fantastic.A pleasure to work with and would recommend to all!